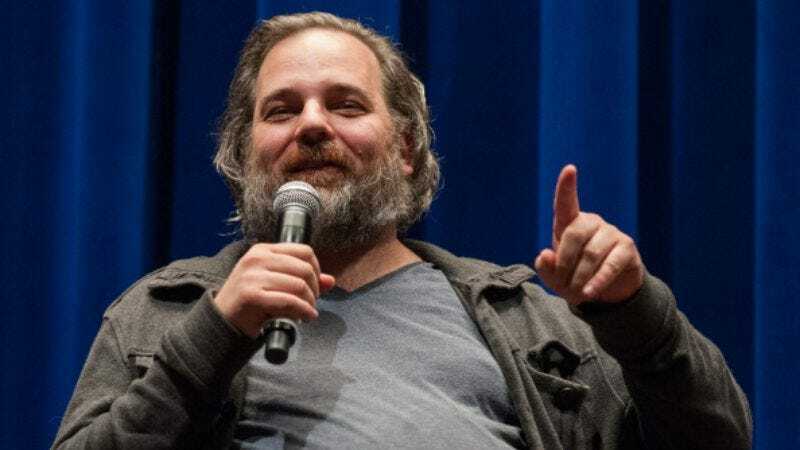 If he hadn’t recently confirmed the Rick And Morty season three premiere, the news that Dan Harmon‘s developing another TV series might have had led to a fan uprising (or, more likely, just angry tweets). Instead, we can feel excited and/or cautiously optimistic about the fact that Harmon’s adapting Kurt Vonnegut’s The Sirens Of Titan for Universal Cable Productions. According to CinemaBlend, Harmon is working with longtime 24 (and its offshoots) producer Evan Katz on the series, which is based on Vonnegut’s sci-fi novel from 1959. The Sirens Of Titan adaptation hasn’t landed a network yet, but NBC and USA are in the running. The series will center on Malachi Constant, the richest man in the U.S., who’s used his “divine” luck to build his father’s fortune. But that money can’t shield him from a brewing war between Mars and Earth. Soon, Malachi’s on an interplanetary journey with another really rich guy, trying to determine whether or not free will exists. It’s typically heady Vonnegut material, an oeuvre which Harmon has cited as an influence on his own interpretation of sci-fi. But even if Harmon weren’t a Vonnegut fan, that storyline would still lend itself well to his talents—we’ve seen what he can do with an initially reluctant explorer and a scheming elder.